A4 pen drawing of the Irene Manton building at Leeds University. Great brutalist architecture, love all the straight lines. Line drawing of London rooftops combined with spraypaint. 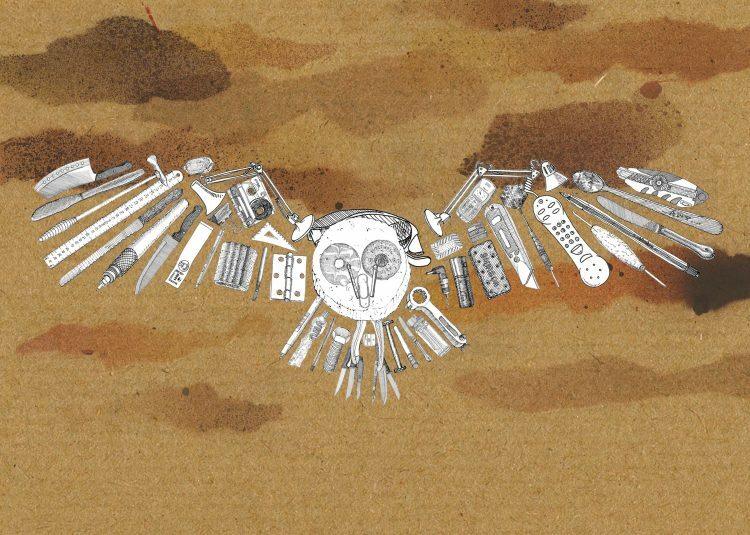 Illustration of an owl constructed of my drawings of everyday objects.